What does it feel like to create a true sense of community at work? I venture to say it would feel like practical magic. I had the distinct privilege to spend most of 48-solid hours in a room with some crazy smart and heart-centered people last week for the purpose of discussing and clarifying the idea of “Community.” The group included entrepreneurs, HR practitioners, consultants who make the world a better place to work, a futurist, and experts on inclusion. It was an impactful discussion, and because it influences all of us, I wanted to share just a bit of the magic that we created in a relatively short time. What unique characteristics show up in community? How does a community differ from a group or organization? What is needed to create community, and what destroys it? Often, we first think of community as a physical place like the city where you live, the church you attend, or some other physical representation. But I would challenge you to look beyond the physical, beyond the obvious. I am certain you have been in plenty of places and spaces that did not feel like a community. After careful consideration, here is how I see community. It is not a place, but a feeling. You feel a sense of community when the key defining factors come together and elevate a group of people from simply a group experience to being in community with one another. 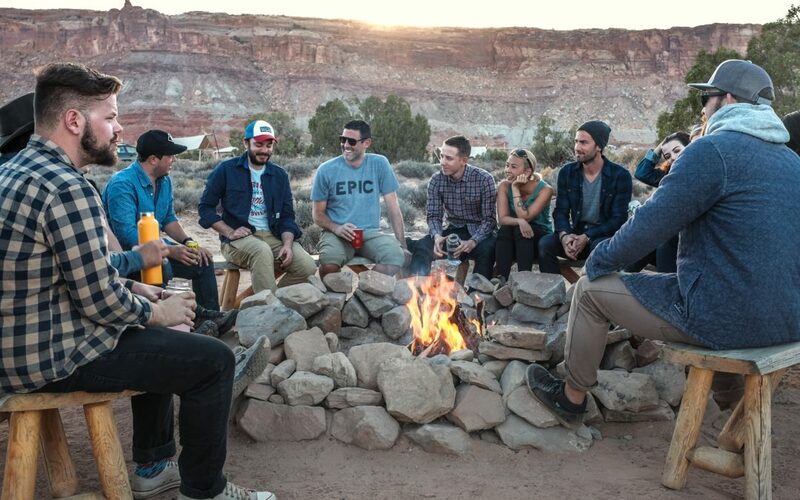 There are factors that create the sense of community, and any one of them on their own might be used to describe a group, or family, or organization. However, when combined together and elevated to a higher level, the synergy that is created becomes a sense of community and something deeper than just a collection of people in the same place, at the same time, with something in common. When we can elevate these factors and create synergy, a sense of community is possible. I see it as a type of ecosystem. Communities are dynamic, meaning they always adjust when people come and go, and as things in the community shift it can stay intact. It supports the needs of the individual and maintains equilibrium for the community simultaneously. This does not mean we should only be with people who are “like us.” It does not mean that we don’t listen to, and consider varying points of view. It does not mean that we dig our heels deeper into our side of the argument. By doing these things, we are closing ourselves off to the open-mindedness and possibility that we must bring to the table in order to find and receive a sense of community. Without this trust and willingness, you may think you are searching for community, but will wonder why you can’t quite find it. What erodes a sense of community? Although the ecosystem of a community is flexible to change, it is not invincible to breaking down. So, what causes a sense of community to erode, or fall apart? A lack of trust: When those in community no longer feel as if others have their back. Members lose their sense of belonging or commitment: When commonality or individual needs change so drastically that they no longer resonate with the community. Balance of power does not support the community as a whole: When the interests of one supersede the interests of the community due to power, the system loses balance. In a time when we are searching for belonging and understanding more than ever, it can be valuable for us to dig deep and truly understand where our sense of community comes from. This can help each of us find what we are looking for to live a life of shared purpose and fulfillment that comes from community; elevated beyond groups or organizations. How do we bring this sense of community to the workplace? This is a place where we spend a significant portion of our time, and when we describe our most engaged employees we can often see the factors of community coming to light. If we could create more of that, people would feel belonging at work, be committed, and want to stay. Yet in so many of our organizations, we are missing the mark. I encourage you to view your own workplace and review what factors might be missing to creating a sense of community. Inclusion and engagement are insufficient; people look to experience belonging and love. What would need to change to achieve that elevated state? And what would that even feel like to create a true sense of community at work? I venture to say it would feel like practical magic.